Thinking of Buying, Selling, or Renting? Feel free to browse our site to explore our comprehensive online tools that offer direct access to the latest properties for sale and for rent in your area. This site also offers useful links to community information as well as answers to commonly asked real estate and rental questions and loads of other useful information! We are proud to serve the Catawba Valley Area - Including Hickory, Newton, Conover, Claremont, Maiden, Lincolnton, Denver, Granite Falls, Morganton, Lake Norman, Sherrills Ford, Catawba County, Burke County, Alexander County, Caldwell County, Lincoln County and many other communities in North Carolina. 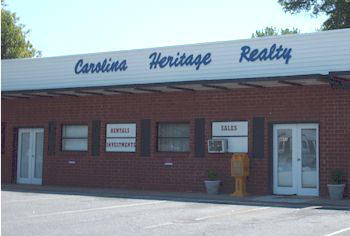 Carolina Heritage Realty is a family owned and operated Real Estate Company that has been serving the Catawba Valley since 1990. We specialize in Property Management and currently have over 350 rentals. If you are a property owner that is interested in renting one of your properties or looking to buy more investment properties - please give us a call. "For Sale" and "For Rent" at the same time and then doing which ever comes first! 24/7 and it is checked on a regular basis.